Taking a trip doesn't mean having to take a break from your favorite workout routine. El Tropicano’s 3,000-square-foot fitness center offers a variety of ways to stay in shape during your stay in San Antonio. Highlights include free weights, strength training gear, cardio machines, punching bags, medicine balls and more. 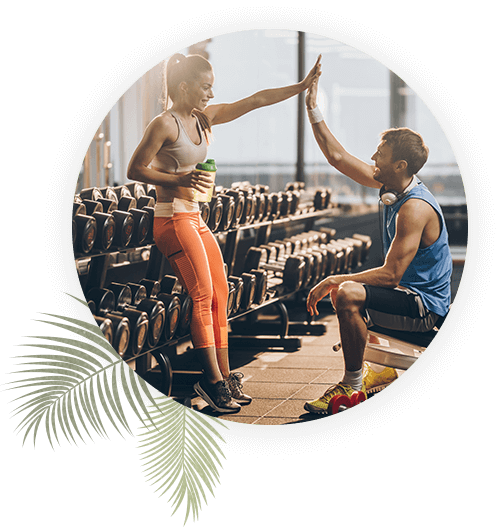 Strive Fitness Studio offers free gym access for guests of El Tropicano Riverwalk Hotel, and monthly memberships are available for local residents. Call (210) 277-4039 for additional information or to join one of the best gyms in San Antonio. Delighting guests since 1962, the historic El Tropicano Riverwalk Hotel embodies Texas’ famed tradition for hospitality. The renowned El Trop also served as a chic vacation spot for Tinseltown stars such as Rock Hudson, Julie Andrews, Dolly Parton, and the Rolling Stones; and continues to be one of the most well-known and popular venues for social, cultural, and political events in the city.